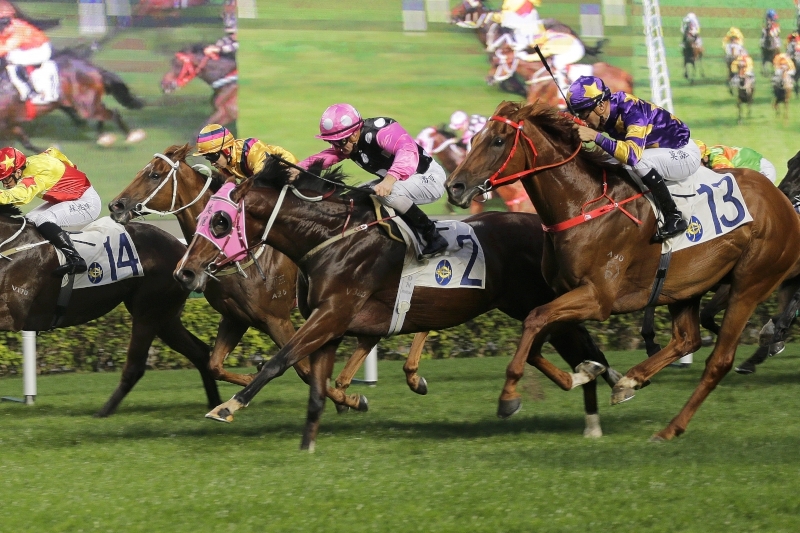 Trainer John Size is potentially eyeing overseas riches for his game sprinter Amazing Kids after the five-year-old completed a clean sweep of Sha Tin’s 1000m features with a barnstorming win in the Group 3 Bauhinia Sprint Trophy Handicap today (Sunday, 8 January). 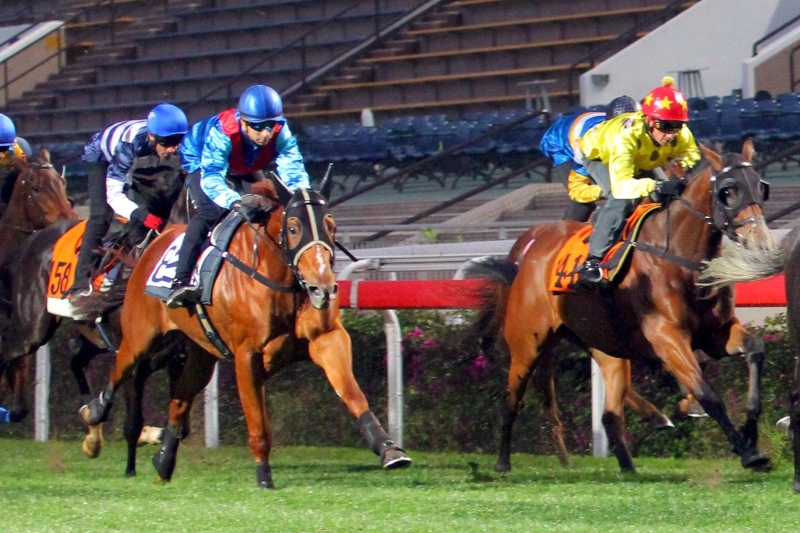 Amazing Kids races away from Not Listenin’tome to win the Group 3 Bauhinia Sprint Trophy Handicap. 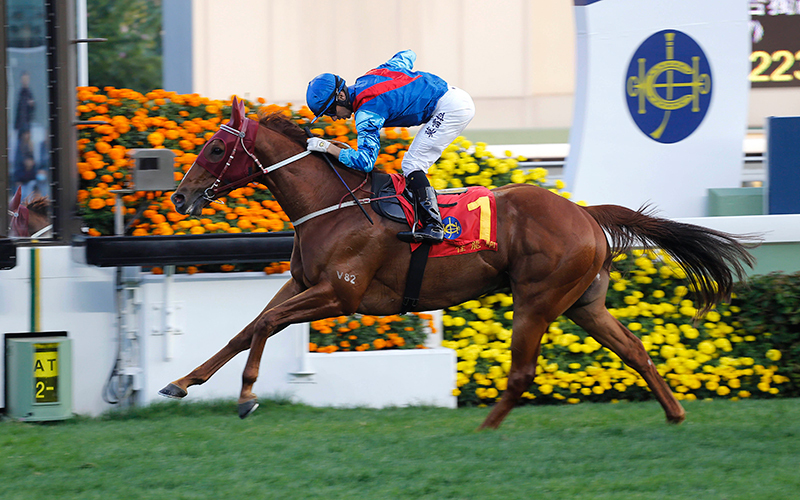 Amazing Kids (132lb) added the Bauhinia Sprint Trophy to his win in October’s G3 National Day Cup Handicap, the only two stakes races run over Sha Tin’s 1000m straight course, and in the process remained unbeaten over the course and distance. That day in October, he flew late to score by a short head, only reaching the lead in the final stride under Brett Prebble. 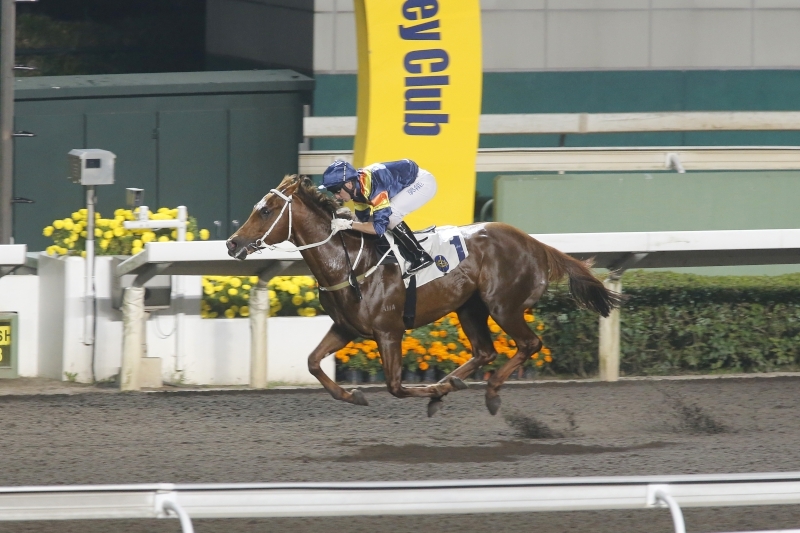 Today’s win with Joao Moreira aboard was similar in style, coming from a long way back off a hot early tempo. This time, however, he reached the lead by the 200 metres and raced away for a length and a half success over last year’s winner Not Listenin’tome (132lb) in a time of 55.9s. Topweight Peniaphobia (133lb) was a further length and three-quarters away in third, with heavily-backed favourite Bad Boy (115lb) a disappointing fifth, more than five lengths from the winner. “The way the race looked on paper was always going to suit,” Moreira said. “There were some really fast horses in there and if they were going to fight for it, it was going to set it up for the backmarkers. But even still, the way that he sprinted was really nice and it was a good effort from Mr Size to get him back for this. Amazing Kids was off the bit chasing in his October victory, but seemed to travel better today in behind the fast opening splits of 12.89 and 20.48 set by lightweights Amber Sky (115lb) and Adventurer (113lb). 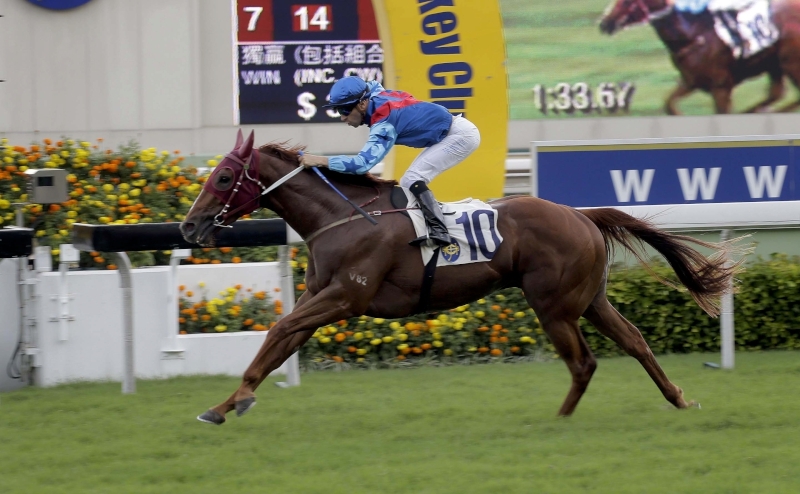 Size last won the Bauhinia Sprint Trophy when it was a Hong Kong Group 1 under set weights, taking the feature with Grand Delight in 2003. 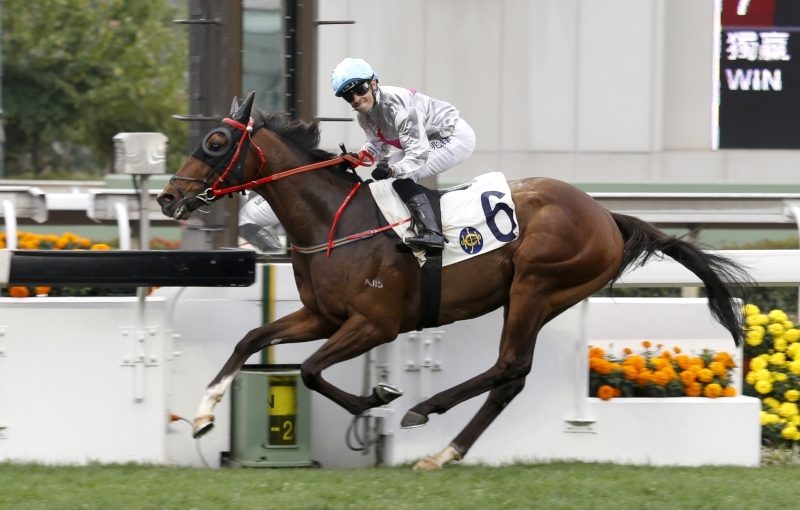 The handler said that the G2 Centenary Sprint Cup (1200m) on January 30 would be the next port of call for Amazing Kids, but that limited options between then and the G1 Chairman’s Sprint Prize (1200m) in May could force him to look at races abroad for the son of Falkirk. 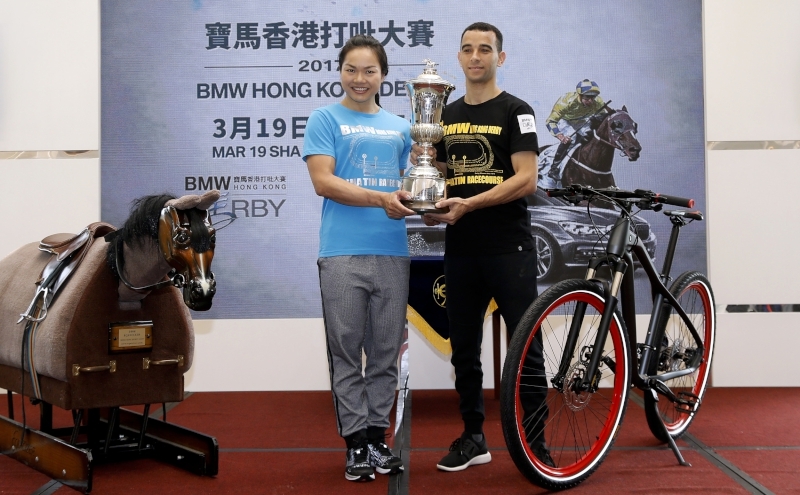 Amazing Kids would be the first runner for Hong Kong’s eight-time champion trainer Size at the rich Dubai World Cup meeting if he were to make the trip. Runner-up Not Listenin’tome took out last year’s Bauhinia on his way to running eighth in last year’s G1 Al Quoz Sprint at Meydan when it was over the 1000m, and trainer John Moore also plans to return to Dubai, but now has a different race in mind. “I was really happy with his effort today,” Moore said. “We’ve booked Tommy Berry to ride him on the 30th (in the Centenary Sprint Cup). We want to go back to Dubai but now we’re thinking the Golden Shaheen on the dirt might be the race, not the Al Quoz. Moore also reported that beaten favourite Bad Boy pulled up with a substantial amount of blood in his trachea and his future racing plans are on hold. “He appeared OK afterwards but he did have blood in his trachea so he will need an OVE (official veterinary examination) and that means he’s out for the next two weeks,” Moore said. “After the race, we were thinking that we would go to the dirt with him on Wednesday week but now that’s ruled out. He’s sort of in a no-man’s land now with his ratings so we will take the opportunity where we can. 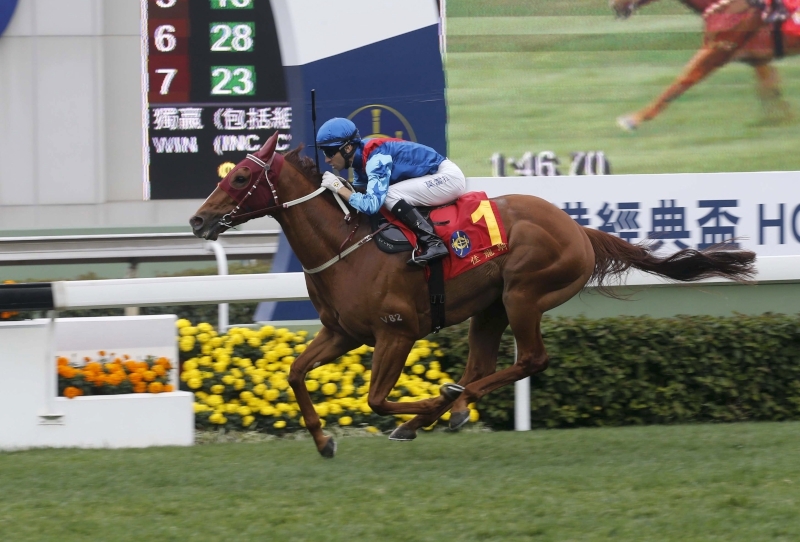 Amazing Kids was one of three winners for Moreira, who combined with Size to win the first section of the Class 3 Peony Handicap (1400m) on Big Bang Bong before adding the second section of the same race on Chris So-trained Roundabout. 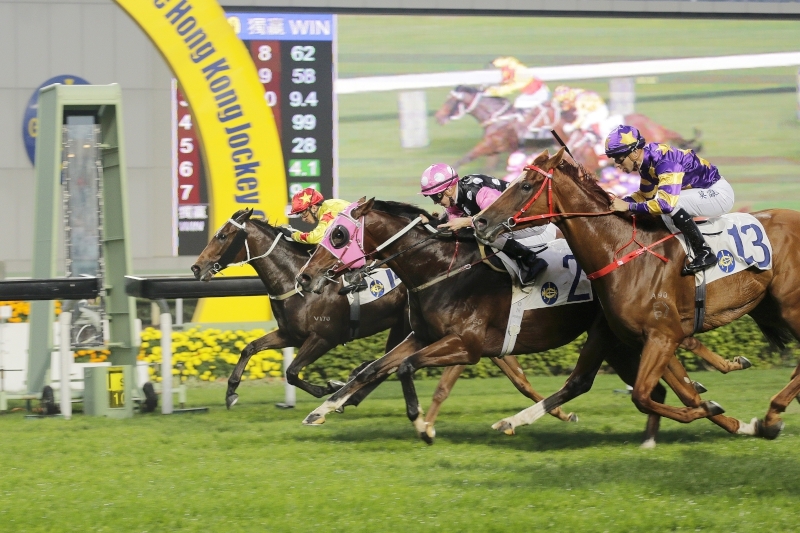 It was happier days for Moore at the end of the card as Beauty Generation scored a tough win under Zac Purton in the Class 2 Violet Handicap (1600m) to cement his status as a leading contender for the upcoming Four-Year-Old Classic Series. Beauty Generation holds off a group of challengers to put himself into Classic Mile contention. Beauty Generation (130lb) had impressed with his second to My Darling on debut on 27 December, and despite overracing early today, he managed to hold off lightweight California Disegno (117lb) and fellow classic contenders Western Express (118lb) and Winner’s Way (120lb) to score by a head. Moore was excited after the win, believing that the son of Road To Rock was nowhere near his prime fitness-wise. “Zac came back and said this run was very important heading to the Classic Mile,” the trainer said. “He only went for so far and then he bottomed, and all he will do is keep improving from now on. And he gave Western Express 12 pounds so it was still full of merit considering that Western Express has had three runs now and he looks screwed down. 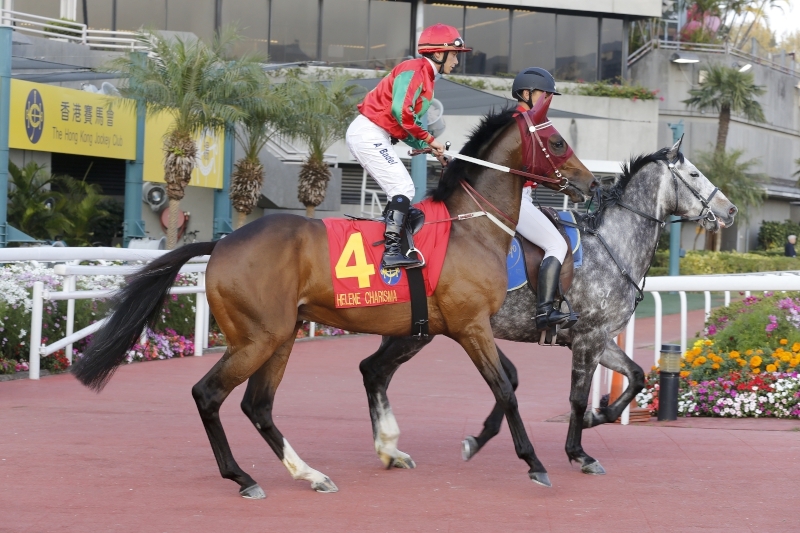 Moore confirmed that Beauty Generation will head to the Hong Kong Classic Mile next on 22 January and that he is likely to be one of four runners for the stable, with Rodrico (125lb) another potential candidate despite finishing 12th at his Hong Kong debut today. Beauty Generation was one of three winners for Purton, taking the Australian rider to 10 winners from the first three meetings in 2017. 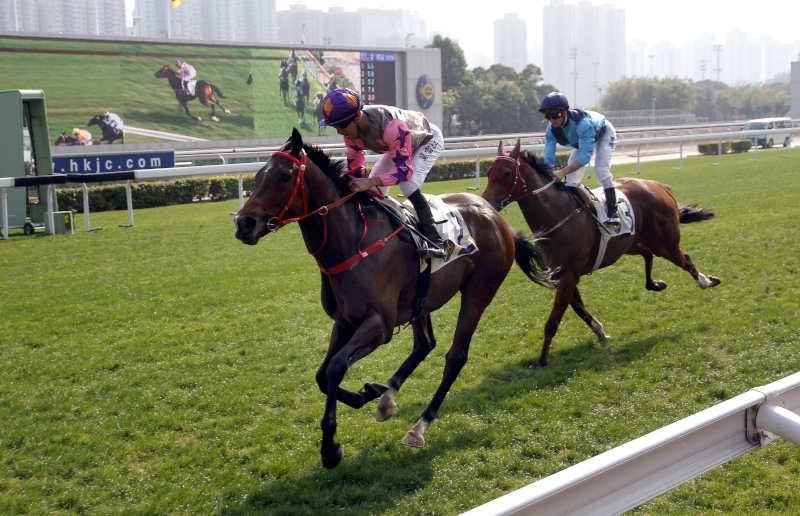 Earlier in the card, he steered Mr Potential to victory in the Class 4 Iris Handicap (1400m) before getting a win out of Moore’s Ashkiyr in the Class 4 Heather Handicap (1800m). 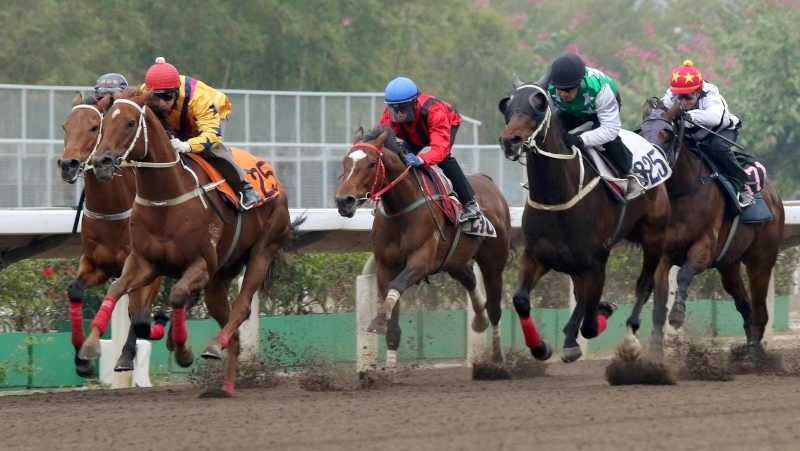 Racing resumes in Hong Kong on Wednesday, 11 January at Happy Valley, with the first scheduled for 7:15pm.